In his opening greeting, JANSI Chairman William Edward Webster, Jr., who assumed his post last year, referred to the upcoming issuance of a ten-year strategy for the institute, emphasizing that it would particularly try to improve its technological capabilities as a self-regulatory organization. 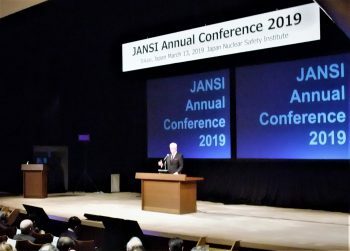 He kicked off the discussions at the conference by stating that questions of how to discuss, diagnose, promote and maintain safety culture within organizations were precisely at the core of JANSI’s mission. After a keynote presentation by Chairman Satoru Katsuno of the Federation of Electric Power Companies (FEPC), entitled “Activities of the Industry based on Lessons from the Fukushima Daiichi Accident,” other participants from overseas and non-nuclear industries gave speeches, including OECD/NEA’s Yeonhee Hah, head of the Division of Human Aspects of Nuclear Safety (HANS), and President Shinichi Inoue of the Japan Aircraft Pilot Association (JAPA). 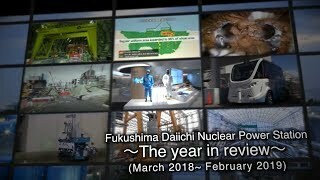 Representing the domestic nuclear industry, President Hiroya Harada of the Tohoku Electric Power Co. told the conference participants that as the head of his company’s management, he always speaks about the concept of safety culture, be it in his New Year’s messages or briefings to new employees. Given his company’s mission of “contributing to the local community,” he emphasized that each employee should work hard to convey to the community, in his or her own words, the attitude of improving safety. In response to that, Mr. Takano from the JANSI Advisory Committee said that the issue was how to get companies committed to the penetration of safety culture, given the inevitable existence of “walls”—different attitudes and interpretations—between organizations. 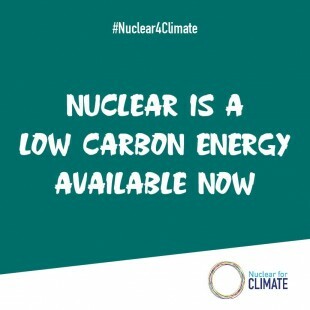 Adding to the discussion, Tohoku Electric President Harada Power said, “A report is an asset. Instead of being angry when receiving a bad report, it is better to respond to it by saying ‘It’s good that you reported this early.’” He stressed the need to strive to create an atmosphere where anyone can express his or her opinions freely. Regarding the continuation of technology, he added that since experienced people in Japan had been taught to “stand behind the master and watch,” they were not particularly good at teaching and explaining things logically, while younger employees often found it hard to question their seniors. He concluded by saying that safety culture had to be fermented and permeated through dialogues, starting with “thinking together” rather than having one person simply teaching another.